Silvia Bruzzi, Brill, collection "Islam in Africa", 2017, 252 p.
Silvia Bruzzi, (PhD 2011) is a Researcher at the Chaire d’Études Africaines Comparées (EGE Rabat). She was formerly a research fellow at the Institut Émilie du Châtelet and a visiting researcher at the Centre for Middle Eastern Studies, University of Bergen. She has also taught African and Middle Eastern History at the University of Bologna, the University of Padova and the École des Hautes Études en Sciences Sociales (EHESS – Paris). 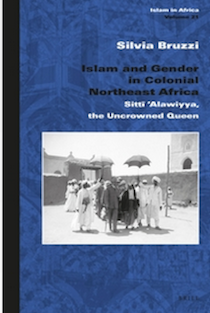 She specialises in Islam and gender in the colonial context.